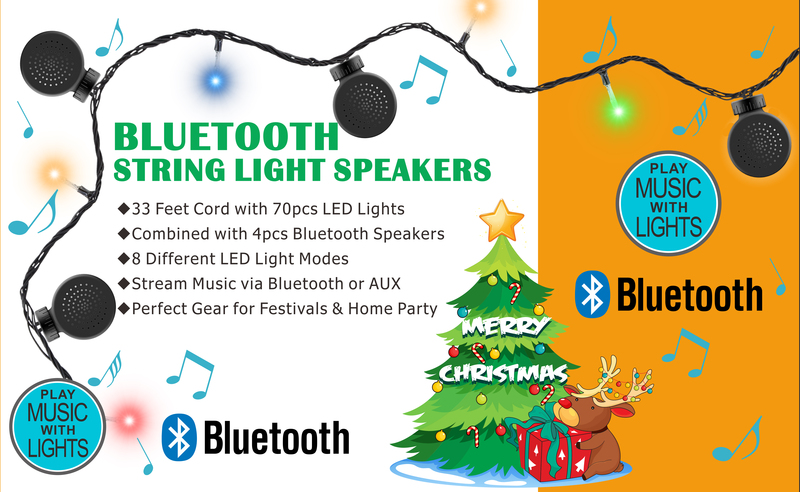 Bluetooth String Light Speaker have 4 built-in Bluetooth speakers to wirelessly play your music indoor / outdoor. Perfect for any indoor dcor, outdoor entertainment, dorm, or holiday gathering. 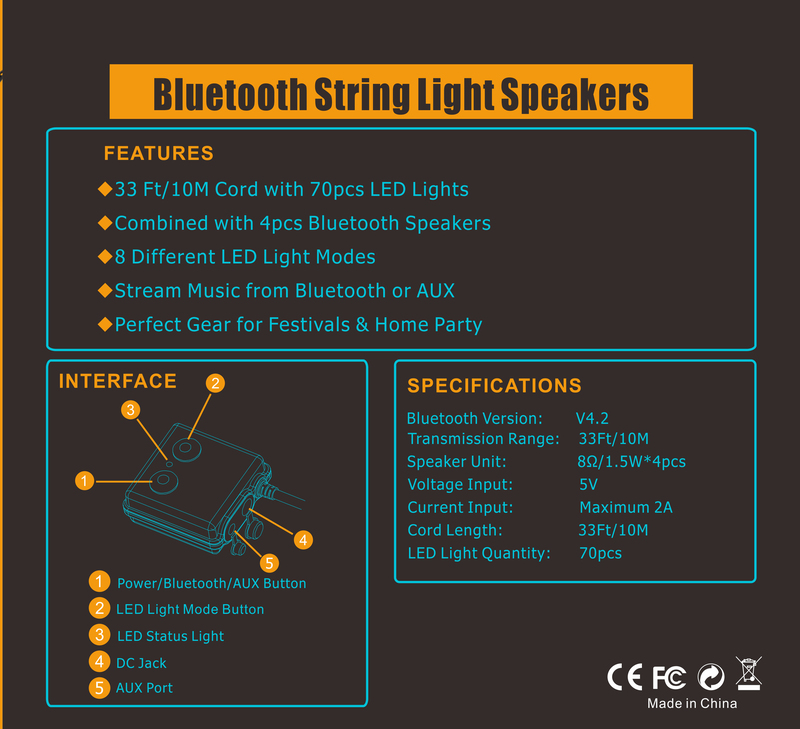 The string lights features include 70 LED lights with 8 different modes and 4 speakers on 33 feet of cord, and built-in Bluetooth technology to to wirelessly stream music from any Bluetooth enabled device.